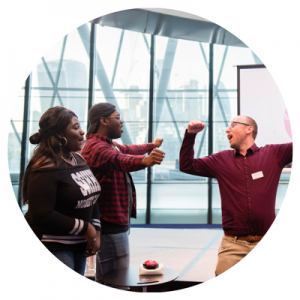 LifeSkills with Barclays offers £500 to young people looking to learn and develop skills through the process of running a crowdfunding campaign. In the last twelve months Barclays have pledged to 17 different projects run by young people between the age of 16-25. These projects ranged from film festivals and sports camps to mobile gardening units and community cafés but even more varied than the projects were the skills these switched on young people acquired and where these campaigns took them next. Below some of the project creators supported by Lifeskills with Barclays share their experiences and the skills they developed. 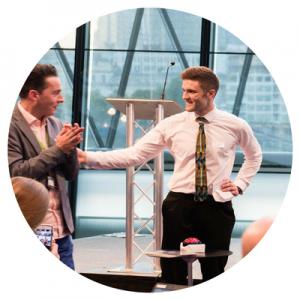 Angus Barry who helped set up the Shine Café project in Tottenham revealed how through crowdfunding he was able to experience presenting in front of a large audience. “Something I have wanted to work on for a while” he admitted. 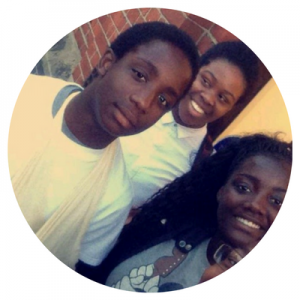 Aaron and Ayo and the Youth Arts team were instrumental (no pun intended) in planning and running the Hoxton Hall Youth Music Shout Out project which was fundraising to transform disused space into digital art and music recording facilities. Through their campaign they became adept at public speaking and discovered the art of getting the message across and editing it down to two minutes. Check out their live crowdfunding pitch in front of hundreds of people at City Hall to see their skills in action. Shine Café’s Angus Barry listed the development of project management skills as key to running a successful crowdfunding campaign. “Things like how the Café will work with HAGA, where to source the coffee equipment, what legal structure the café should take” were all big learning experiences for him. “The idea of sharing and managing your money well or spending less appeals to me, so having the opportunity to work on this project was great,” Crystal Palace’s Nikira told us. While Matthew Proctor was working on the Islington: sporty summer 4 at-risk kids project he was reviewing press releases and helping with other forms of communication including story-boarding their project video and outreach to schools to ensure they attracted hard-to-reach kids. Sarah Addy was one of a number of students supporting the Crystal Palace Library of Things project as part of her work experience. “I know a few things about marketing now, how to target important people, like the Mayor who came to the event, and ask for pledges” she said. The Hoxton Hall team enjoyed the sense of responsibility for the project as their faces were the main image on the project page and feel that the experience will be invaluable for their CVs. Following on from their work on the Ealing Free Film festival, the students involved were offered future voluntary roles within a local business improvement company called ‘Make it Ealing’. Their roles will include planning and coordinating up and coming events in Ealing that will generate income into the local area. “All students involved with this project loved the experience and many now see a route for generating finance for their own business ideas. 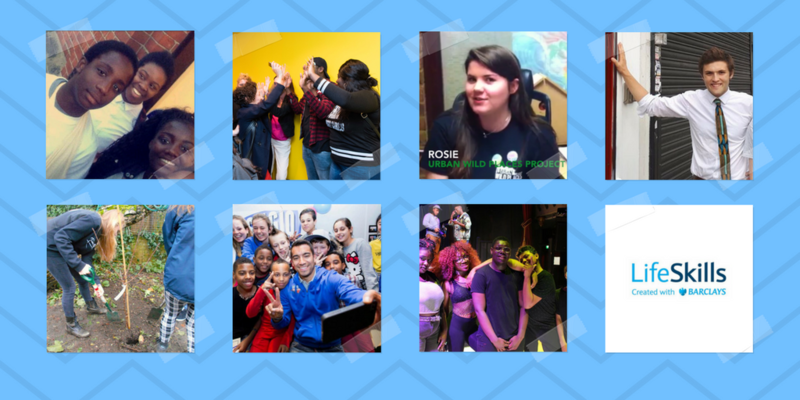 Many of the skills learned through this project also tie in with their current studies of marketing and communications, professional skills, project management and planning and finance,” stated Hope Flynn, the project lead. Aged between 16 and 24 and want to make a difference? LifeSkills support young people wanting to make a positive change to their local area. Through running a crowdfunding campaign, you can develop skills from sales and marketing to financial forecasting and project management. Along with building up relevant experience for your CV, you’ll be creating something for your community whether it’s turning a disused space into a hanging garden, organising a community festival or transforming a grey wall into a colourful mural. Learn more about their fund here. Crowdfunding can be challenging but the skills and experience it can give you is invaluable and we’re here to support you every step of they way. Download our complete guide to crowdfunding here to start planning your campaign and then sign up for one of our free workshops and webinars for expert advice and support.